The Marshall House is named in honor of General George C. Marshall, who lived there from 1936 to 1938, serving as Commander of the Barracks and the regional Civilian Conservation Corps. 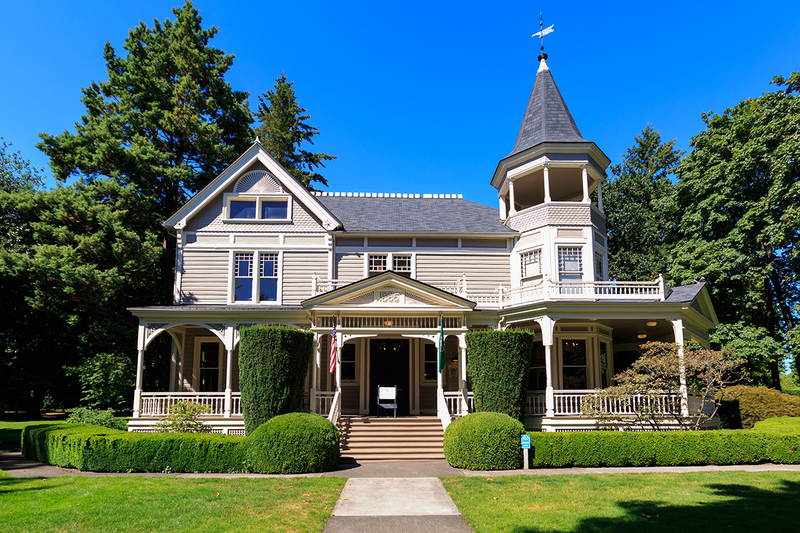 This home’s Queen Anne architecture is the most popular of high Victorian styles, with ornate features including stained glass, decorative woodwork, and a round turret. The museum-like setting features traditional furnishing, military memorabilia, and Marshall’s study. Some historians credit Marshall's stay here and experience directing thousands of young CCC workers across the Pacific Northwest with his later success integrating an estimated eight million draftees into a cohesive, motivated fighting force in World War II. For a short video overview of Marshall's remarkable career as soldier-diplomat click the thumbnail on the lower far right.